Forgot Your Pin? | Order a Bin. 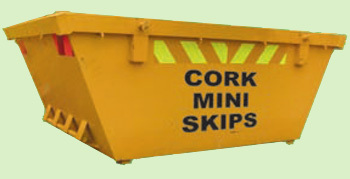 A heavy duty domestic mini skip in a medium package. It is suitable for clearouts from the house or the office. It is also used for one off house renovations and holds 3 cubic yards. Dimensions approx: L: 6ft, W: 5ft, H: 3ft. Will fit on most driveways. Footprint: Equivalent to a small car. Compliance: No Hazardous (includes paint and fluorescent lights) or liquid waste can be accepted. No Asbestos & White Goods. Serviced by skip Truck. Two foot longer & one foot wider than the mini skip. It is suitable for large house and office clearouts and is ideal for use as a builders skip when working on building sites. It is also used for one off house renovations and holds 5 cubic yards. Dimensions approx: L : 8 ft W : 6ft H 3ft and will fit on most driveways. Footprint: Equivalent to a small car. 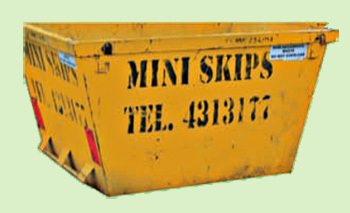 Standard industry builders skip. Capacity of 7 cubic yards. Dimensions approx: L: 11ft W: 6ft H 3ft and will fit on some driveways. Suitable for large house and office clearouts & as a builders skip. Footprint: Equivalent to a medium car. 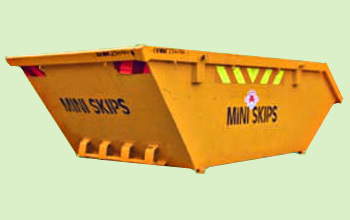 Standard size skip for industrial and business use. This comes in open form. Dimensions approx: L: 12ft W: 6ft H: 6ft. Footprint: Equivalent to a family car. 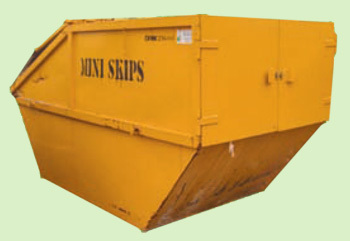 Suitability: Primarily suitable as a builders skip in the construction industry and on-site regular collection. Also used for bulky inert heavy waste disposal. 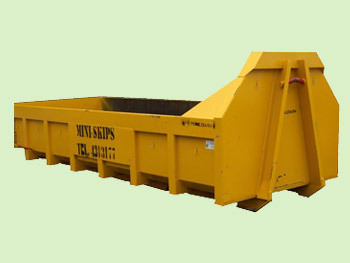 Very heavy duty skip for use as a builders skip in the construction industry. Low sided for easy loading and suitable for heavy materials such as concrete. Collected using heavy industrial trucks. Dimensions approx: 20 x 7 x4 [l, w, h]. Footprint: Equivalent to an Estate car. Suitability: Primarily suitable for the construction industry, on-site regular collection. Also used for bulky inert heavy waste disposal. Compliance: No Hazardous (includes paint and fluorescent lights) or liquid waste can be accepted. No Asbestos & White Goods. Serviced by Roll-on Roll-off truck. 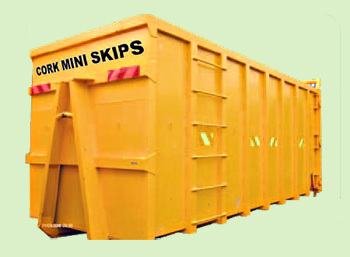 A high volume skip for high volume light weight segregated recyclable materials such as paper, green (garden) waste, wood etc. Not suitable for heavy weight materials such as concrete, soil, rubble. Used at large industrial plants, construction works etc. Dimensions approx: 20 x 7 x 8 [l, w, h]. Footprint: Equivalent to a Minibus. Suitability: Primarily suitable for the industries actively operating waste segregation schemes. On site segregation provides cost efficient recycling options.